Dr. Casey Allman and the Sandia Smiles Dental Center team offer gentle, patient-centered care for the whole family. Ours is a welcoming practice, where we make you our top priority. Your goals and comfort are important to all of us. We’ll talk with you about your oral health and how we can help you develop a healthy, beautiful smile. Understanding that your care goals and needs are unique, Dr. Allman will create a custom care plan for you. He focuses on preventive care, so you can keep your smile healthy and looking its best. When more intensive care is needed, he recommends conservative treatments giving you the strongest results. Everyone on our team is a people-person. We thrive on the lasting relationships we build with our patients. It’s a joy to help our friends and neighbors develop great oral health and a smile they love. We look forward to serving you and your family, too! Our Albuquerque, NM dental office serves the Rio Rancho, Ventana Ranch, Paradise Hills, and Cabezon communities. Please contact us to schedule a visit for yourself or a family member, today. 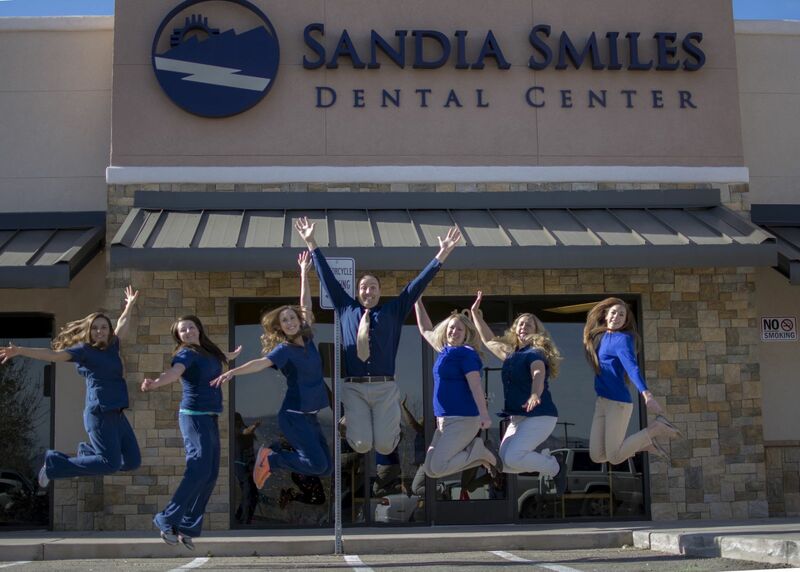 Everyone at Sandia Smiles Dental Center looks forward to welcoming you to our practice. We can’t wait to start you on the path to great dental health and a smile that’s filled with confidence. Call, today!